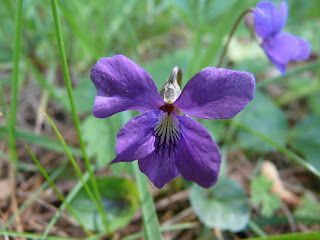 A couple of weeks ago, I noticed what looked to be wild violets growing. I went out yesterday, and took some photos of the blooms. Love these little guys! I'd much rather have tham in place of grass. 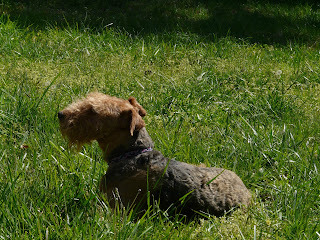 The lawn was mown today, but the dog spent a lot of time out today sunning herself, getting her vitamin D, and snapping at bees as they buzzed by. She had a good day.